Wouldn’t it be nice to give your model a sense of depth by adding 3D textures, maybe a surface with seemingly random bumps to make the part look more organic, or applying a random pattern full of different shapes and elevations that would seem impossible to model. 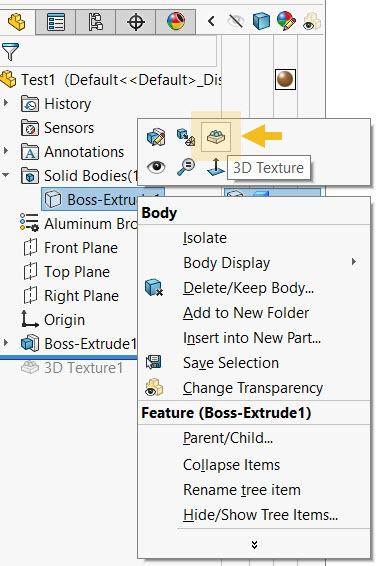 Now your can with the new 3D Texture Tool in SOLIDWORKS 2019. By utilizing gray scale images, it is now possible to create textures that can produce complex surface finishes for 3D printing your models. Let’s take a deeper look at how it works. Once our Part has been created, we can go ahead and apply the grayscale decal that we will use to create the texture. An example that is provided by SOLIDWORKS is seen below. The reason why our decal needs to be SOLIDWORKS is because the gradient between white and black is used to represent an elevation, where white is a height of zero, and black is the maximum height or vice versa depending on how you toggle it .  So, if we were to visualize the above example, it would look like a hill that is tallest in the middle as seen below. But let’s make something more interesting. Let’s use a decal that has utilizes complex random patterns & gradients. Let’s go ahead and work with the image below as our decal. Note, these kinds of graphics can be made using programs like Adobe Illustrator by utilizing gradients and vectors. 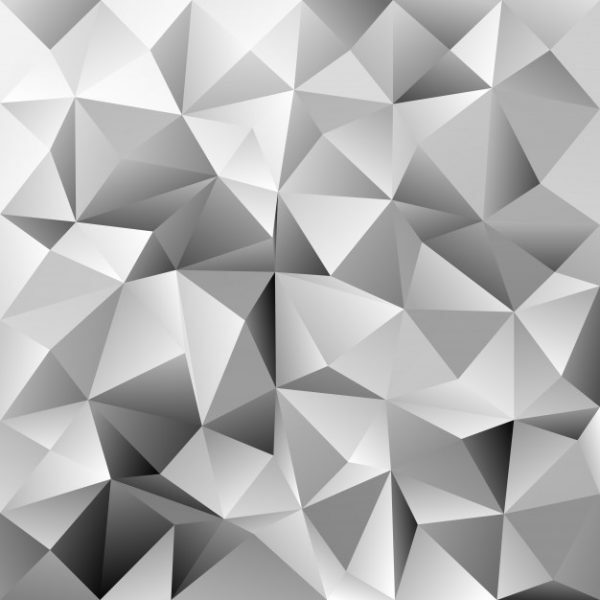 There are also other programs that specialize in creating grayscale height maps from photos. The first item on the agenda is to apply the decal to the part. Read our guide to applying decals. After adjusting the decal, we are ready to get started. Though it was not done in the above example, it is always good have a decal that do not get cut off on the edges of the part. This will improve the blend between the main body and the surface features. If you are familiar with SOLIDWORKS Simulation, you will notice that there are parallels between setting up the part as we are creating a mesh based on the part geometry and the interpretation of the decal. So a bit of an explanation with the settings that can be manipulated. The first item would be the texture list. It lists the decals that have been applied to the selected solid body. Here you have the option to select which decals will be used for the texture. It also provides a summary of the attribute applied to it. The Maximum Element size determines the size of the elements of your mesh. The smaller the size, the more detail your model will have, but at the cost of processing speed. It is recommended to keep the element size as big as possible to improve performance. The Texture Offset Distance determines the maximum height that the decal can go. In our first example we see that the decal is highest at the black region. The Texture Refinement Option determines the level of detail that we can capture from the decal as seen below. 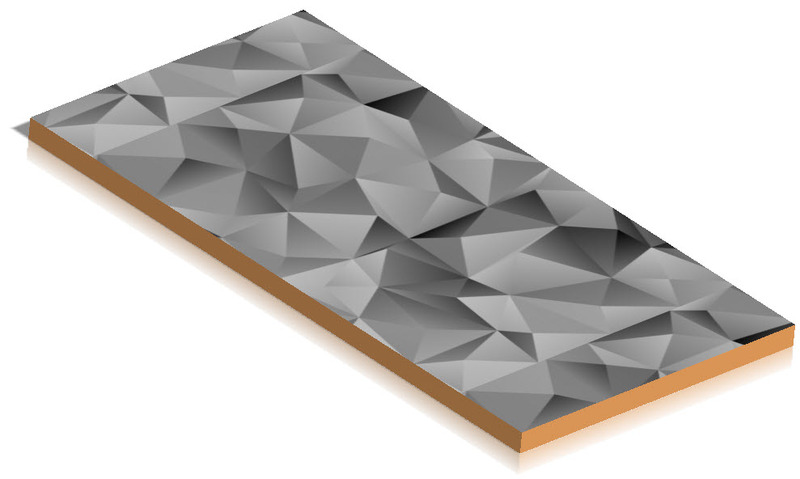 On the left, we see an example of the surface with a texture refinement of 80% and on the right at 10%. We can see that the mesh elements are made smaller to capture more detail from the decal. Once again computer performance & the user’s desired outcome play a role in determining the right amount. After adjusting the settings just right to your preferences, we can apply a material and create the final render as seen below. 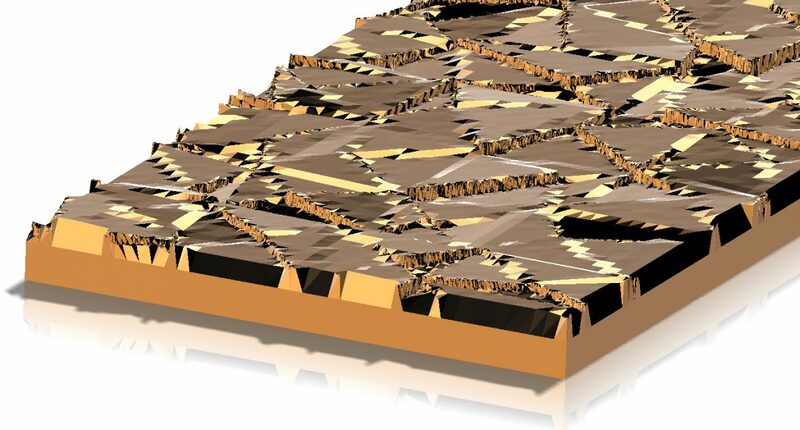 As we can see, we can make an organic surface that would be difficult & time consuming to create otherwise. Below is a video showing how the light plays with the staggered surface.